If you ask my children what takeaway they like best, they will answer Chinese. Prawn toasts are one of my favourite starters but until this week I had never tried making them myself before. I can guarantee I will be making them again as they were gobbled up to gasps of "Oh these are really good Mummy!" I was really impressed as my eldest even dipped them in sweet chili sauce. I have to say that I was pleased with how easy they were to make. Many recipes will tell you to shallow fry them. Whilst I am sure this would make them taste delicious, I chose to use less oil to make them slightly healthier. I am pleased to report that they still tested great. 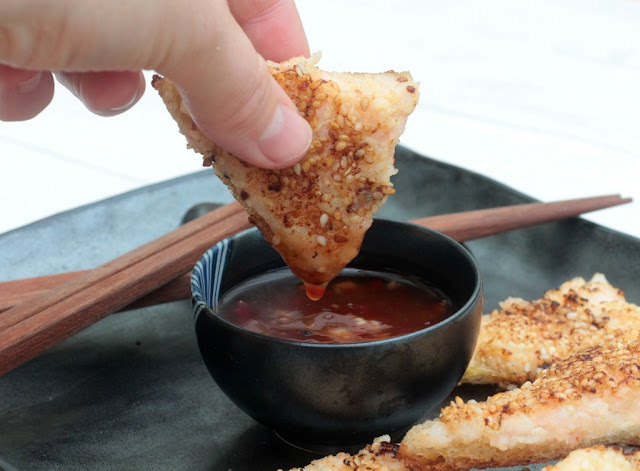 This recipe will make 4 slices of Prawn toasts which can be cut into 16 triangles. Chop the prawns using a food processor and mix in the garlic, miso paste and mayonnaise to for a paste. Take the crusts off of 4 slices of white bread. 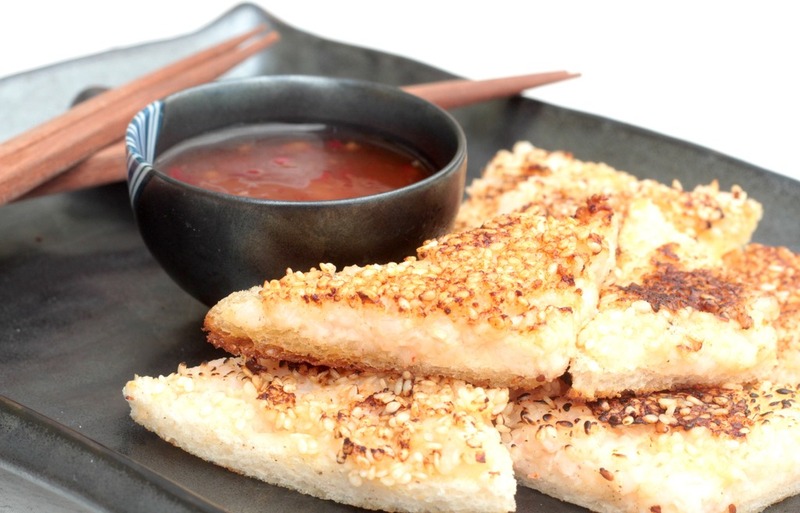 Spread the prawn mixture on the bread and then sprinkle over the sesame seeds over the top and press down. Cut each slice into triangles and fry seeds down for 3 minutes. Flip over and fry for another minute. These are so easy to make and taste so good, I will certainly be making them again soon. They taste great slightly cooled and dipped in sweet chili sauce.